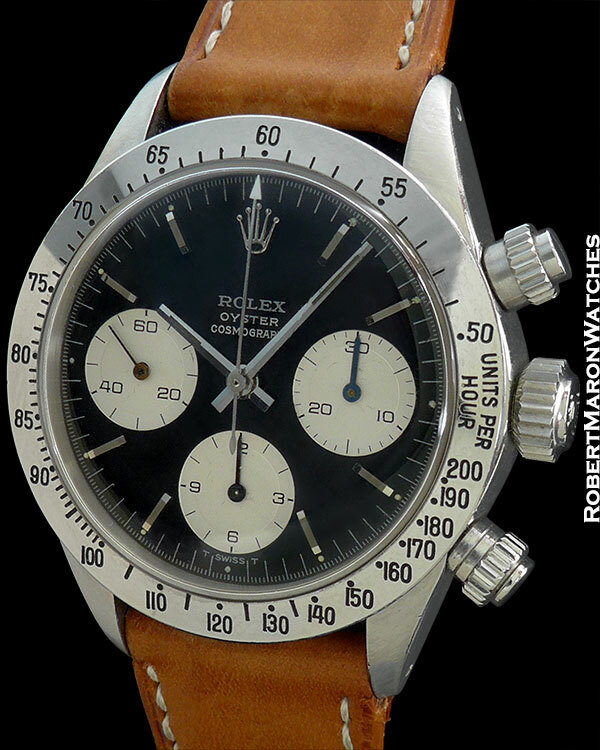 Here is a great looking vintage Rolex Cosmograph Daytona model 6265 in stainless steel. 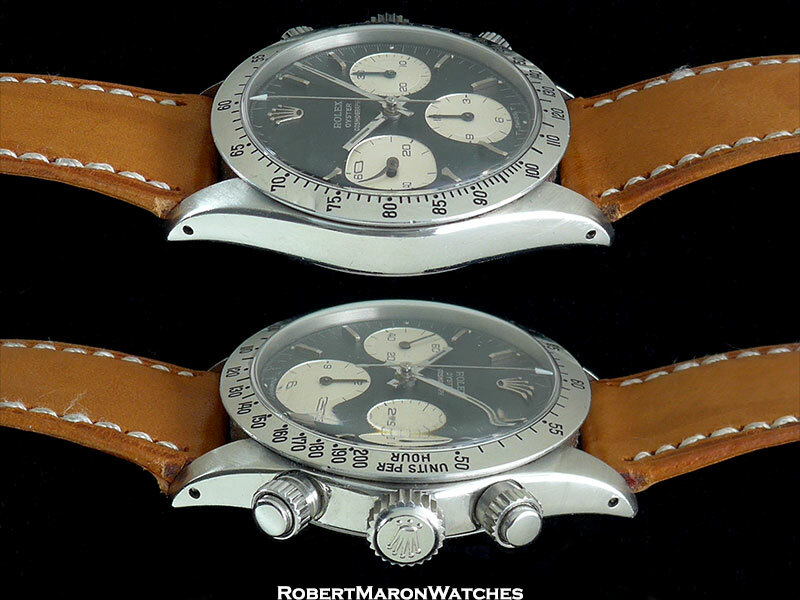 This is THE iconic vintage Rolex and vintage chronograph. After more than three decades as watch dealers, we can say authoritatively that no watch is more classic, looks nicer, wears more comfortably and appreciates in price as a vintage Rolex Daytona. 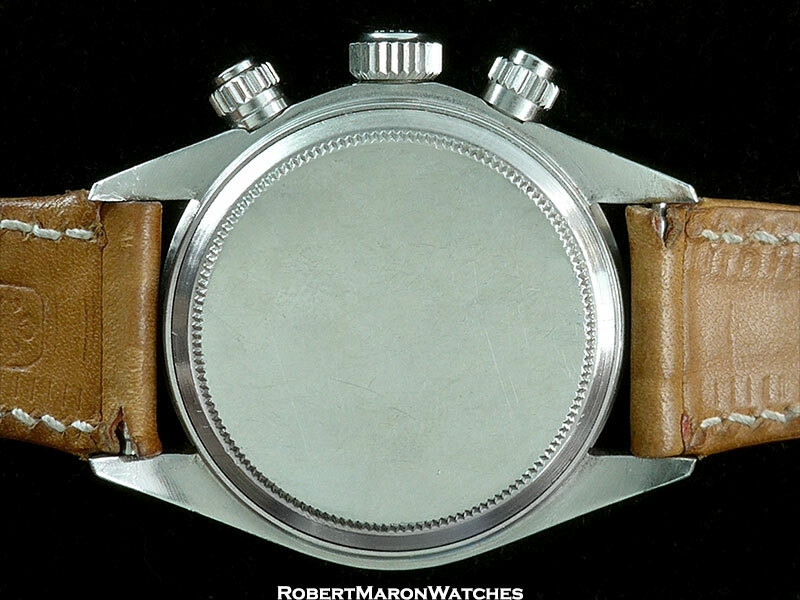 Original stainless steel case is 38mm in diameter by 13.5mm thick. Original second generation screw down chronograph pushers and screw down crown, all working perfectly. Plastic crystal. Original bezel with Units per Hour scale from ‘50’ to ‘200’. Bezel is clean and with original sharp edge. Original untouched dial with applied hour markers and contrasting silver subdials with concentric guilloche. Subdial hands are black so as to maximize legibility against the silver subdials. 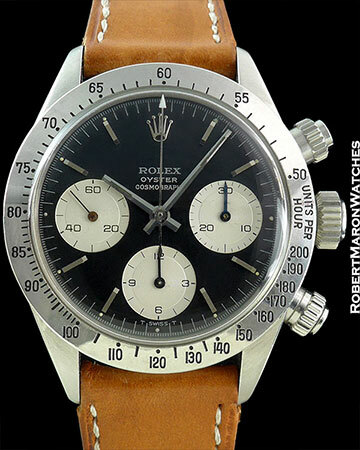 Original movement is the manual winding Rolex Caliber 727 with 17 jewels and adjusted to three positions. This chronograph caliber features column wheel construction. Movement is clean and running. Watch is in mint condition and getting rarer by the day.